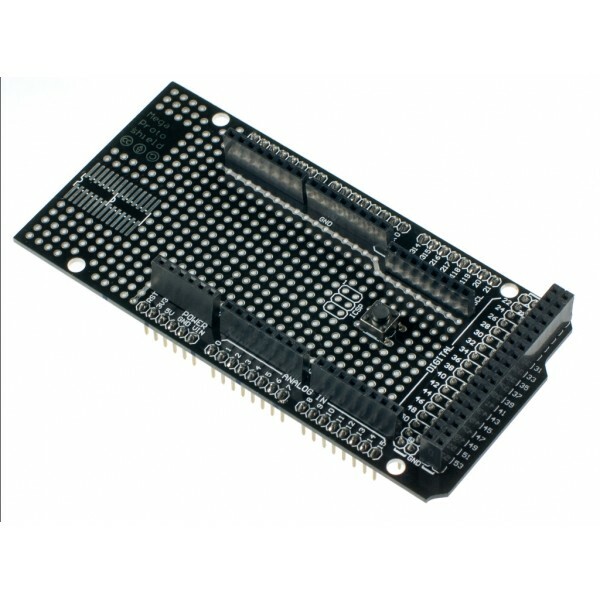 The Mega Prototyping Shield is for use with the Arduino Mega and compatible boards. 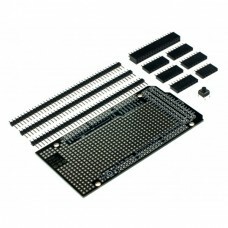 It features a handy reset button, lots of power rails and a large DIP prototyping area. 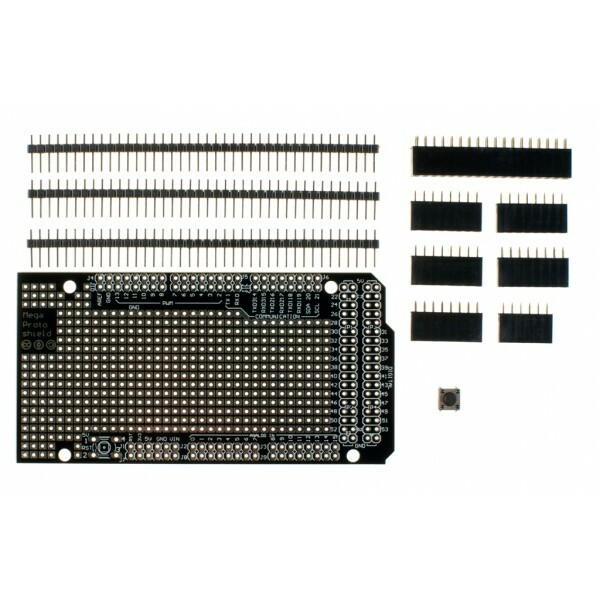 NOTE: Assembly and soldering is required!